Sunday Creek will be hosting a tree planting along Dotson Creek in Perry County. For more information, contact Kaabe Shaw (shaw@sundaycreek.org). Meet at the Sunday Creek Offices beforehand. This meeting is being help for landowners who have problems with invasive plants on their property. The open house will be an excellent forum to talk about funds and assistance currently available for controlling invasive species in our region. For more information, contact Susi Rankis (susi@ruralaction.org). Workshop for farmers and sellers in preparation for the opening of the Chesterhill Produce Auction (May 14). For more information, contact Bob (bob@ruralaction.org). Hear from proponents of Ohio’s new and expanding capability to intensively grow and harvest algae for conversion to biodisel and bioresins. Presentations from many speakers, including Brad Couch (Projects and Policy Director for Clean Fuels Ohio), Dr. Ben Stuar (Director of the Biofuels Research Lab at Ohio University), Ross Youngs (CEO of Univenture in Marysville, Ohio), and Doug Kitchen (President of Chieftain Biofuels). These sessions are open to the public, but pre-registration is required. To reserve a seat, contact Jessie McDonald (740.380.9315) or email her (mcdonald_j@hocking.edu) and request registration for ISE 290-800. Sunday Creek will be hosting a tree planting along the West Bank of Sunday Creek in Athens County. For more information, contact Kaabe (shaw@sundaycreek.org). Meet at the Sunday Creek Offices beforehand. 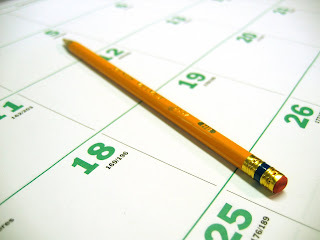 Huff Run will be holding their monthly meeting from 5:30 PM – 6:30 PM. Following the meeting, the Tuscarawas Soil & Water Conservation District will be giving a presentation on the benefits of “rain gardens” – planted depressions that capture stormwater and help prevent run-off. For more information, contact Maureen (maureen@ruralaction.org). Sunday Creek, Trimble High School, and the Appalachian Ohio Alliance will help to celebrate the opening of the Trimble Land Lab in the Trimble Community Forest. This outdoor learning area will provided Trimble Township students with great hands-on learning opportunities in science, math, art and more! More information on the festivities TBA – contact Kaabe with any questions (shaw@sundaycreek.org). Sunday Creek and Monday Creek will be holding a special joint meeting at the Sunday Creek offices to welcome special speaker Dr. Stan Ghert (from Ohio State University and Urban Coyotes). For more information, contact Kaabe (shaw@sundaycreek.org). Trimble Township Farmers’ Market – Opening Day! This will be the opening day of the second year of operations for the Trimble Township Farmers’ Market. 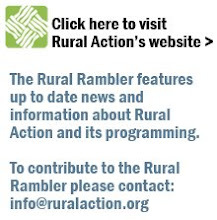 For more information, contact Tom Redfern (tomr@ruralaction.org). The Monday Creek Restoration Project will be celebrating the official unveiling of their latest project. For more information, contact Mike Steinmaus (mcrp@mondaycreek.org). As part of their mission to educate regional communities about the importance of water quality, the Huff Run Watershed Restoration Project holds a multiday educational event every year aimed at children. This year, classes of children will be coming from Bell Herron, Tusky Valley, Sandy Valley, and Sherrodsville to visit stations throughout the Huff Run Watershed that will teach them about fish collection, macroinvertebrates, restoration projects, water quality testing, and enviroscapes. This annual event is made possible through volunteers. Anyone interested in helping out or teaching a class should contact Maureen Wise (maureen@ruralaction.org). You can also call the Huff Run Offices for more information (330.859.1050). Within 2 hours before or after you take Zithromax, do not take antacids containing aluminum or magnesium, including Rolaids, Maalox, Mylanta, Milk of Magnesia, Pepcid Complete.